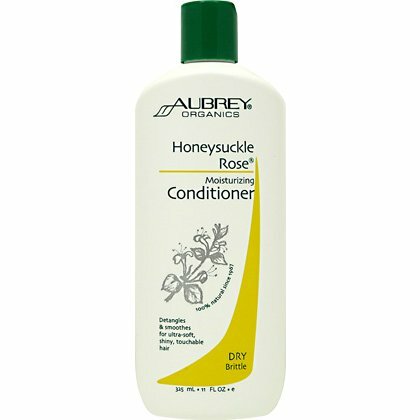 So many of you have been raving about the Aubrey Organics Honeysuckle Rose conditioner (AOHSR) so while I wanted to try it, I was not going to buy it while it had a very poor ingredient label. Fast forward to several months back and Aubrey Organics finally changed their label listing all ingredients and giving me the green light to purchase the conditioner. Here is my review. Slip Quite low because of the thickness of the conditioner, also appears to absorb into hair leaving little on the surface if used sparingly. Very faint, good for people who do not want heavily fragranced products. No but would be happy with it as a gift, it is a good preshampoo conditioner but I would not say it is value for money. So why the low rating? 1. 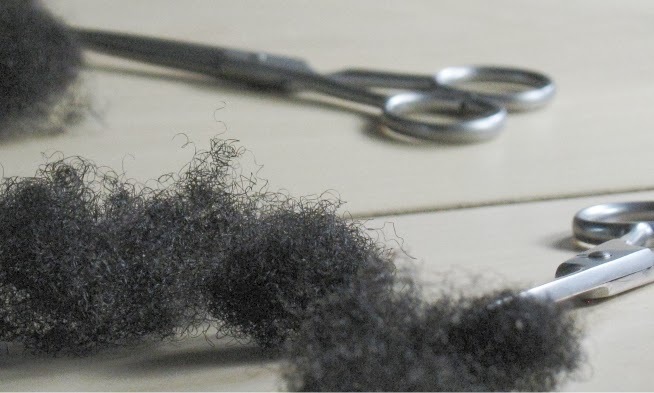 AOHSR has no surfactants which means it is probably not that good at smoothing the cuticle making it less ideal as a post shampoo conditioner. To be fair, the company recommends it as a pre shampoo conditioner. 2. AOHSR is a pretty good preshampoo conditioner. In this case, you apply it to dry hair, leave it on for 20 minutes and then proceed to rinse off, shampoo and condition (with a different conditioner in my case). I would say that my hair was much softer and easier to detangle compared to using coconut oil (my usual preshampoo). However, in my view the difference is not significant enough to justify paying for AOHSR. Coconut oil in my view is good enough and cheaper. 3. Lack of slip. This was the most surprising thing for me as many people rave about AOHSR having slip for days. This was not my experience. It is a very heavy and thick product which is not that easy to spread. Once on hair it appears to 'soak in' after the prescribed 20 minutes on dry hair, so there is nothing really left to create slip. Is this 'soaking in' a good thing? Probably, it may be the reason why my hair was softer. However, if you are intent on detangling your hair with conditioner, this is not the product for you. Disclaimer: Purchased this product by myself with my own money, not requested by anyone to review the product. I agree totally. I got is product in Rosebox and was so excited to try it. I really hated The smell (way too strong for me). I used it just as you did as prepoo, rinse out and deep conditioning but could not detangle at all as it had no slip. My hair did not feel as soft as i usually get with even regular cheap conditioners. Interesting that the scent was too strong for you, I felt it was odd but not too strong :) I have tried it in many ways too but the end of it all, it is not working. Went I initially big chopped, my best friend suggested I try this conditioner and had rave reviews for it. I quickly decided it was not for me for the same reasons that you outline here. I have found that the best conditioners for my hair have great slip and contain behentrimonium chloride, stearylalkonium chloride. So I always look for this ingredient when trying a conditioner. Do surfactants contribute to the slip property of conditioners? Yes some surfactants do contribute to slip. Stearamidopropyl dimethylamine is a substitute for silicones and gives slip. I only use this as a post-henna deep conditioner or a deep conditioner with my hair steamer. It has NO slip, so it's gotta be used before I'm actually detangling and before washing. I had similar results with this product. I need slip in my conditioners. I've always preferred White Camellia to Honeysuckle Rose for the reasons listed above concerning not liking Honeysuckle Rose. In my opinion, White Camellia has a lot more slip, its more moisturizing, and better suited for use on dry hair. The smell of Honeysuckle Rose is better, but I consider Honeysuckle Rose an expensive rinse out conditioner with no slip, it does make a nice leave-in conditioner, otherwise White Camellia is much better. Welp, at least you tried it. Interesting. It does wonders for my hair and it has plenty of slip to me. I apply to wet hair and leave it in. I love the stuff but I love GPB even more. Thanks for all your comments lovelies! I love the spread of opinions! I'm shocked that you didn't have any slip. I've never tried this conditioner but every natural I know who has swears by its slip. Interesting. I also didn't know it was recommended as a pre-shampoo conditioner. Thanks for the review. BTW, did you purchase this online? I thought they didn't manufacture it anymore. I am so glad I found your site can you tell me what you mean by slip?? I would never use this a pre shampoo or regular shampoo! Too thick and No slip! But I loved it for the reason I bought it for, as a Deep Conditioner. I like to add olive oil to to my organic conditioner. I use the Made from Earth Peppermint Conditioner - its my favorite of the organic conditioners (and I have tried them all). I add the olive oil - use the conditioner - and I usually detangle my hair before and after I condition, and this helps make detangling a breeze!